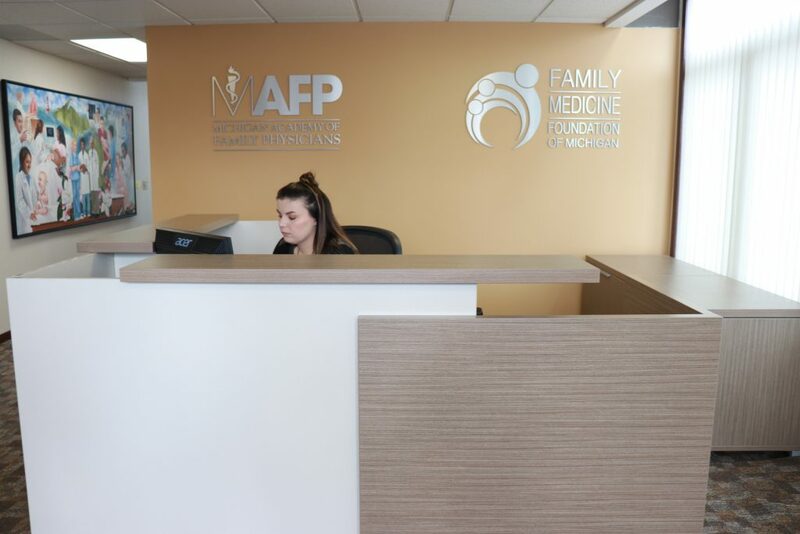 For seventy years, the Michigan Academy of Family Physicians (MAFP) has been the state’s largest specialty physician association. 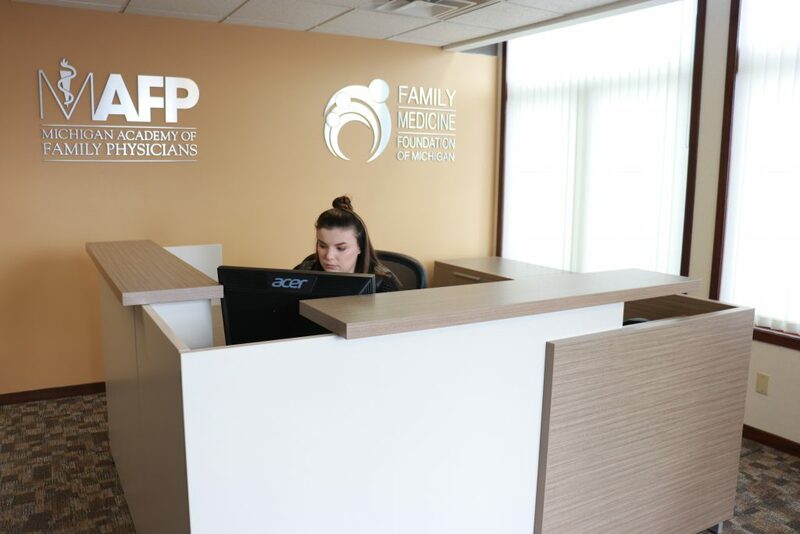 With more than 4,200 members, MAFP is dedicated to assisting family physicians and their practices as they work to ensure high-quality, cost-effective health care for patients of all ages. 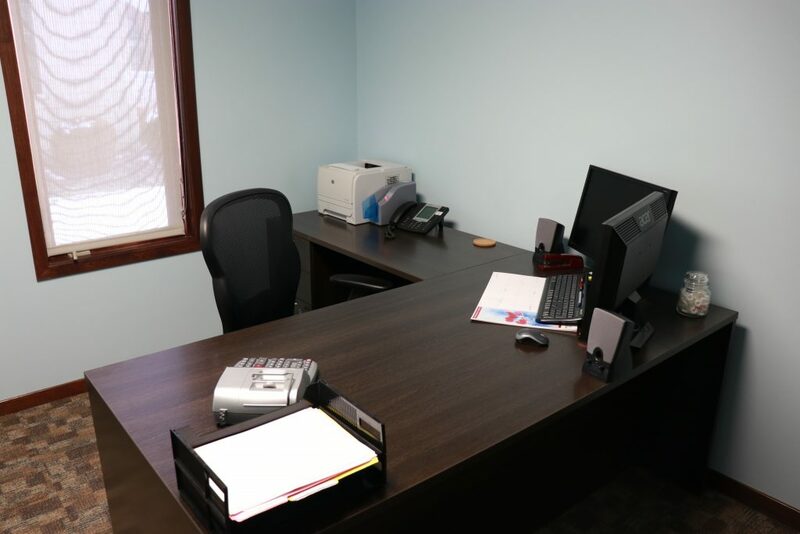 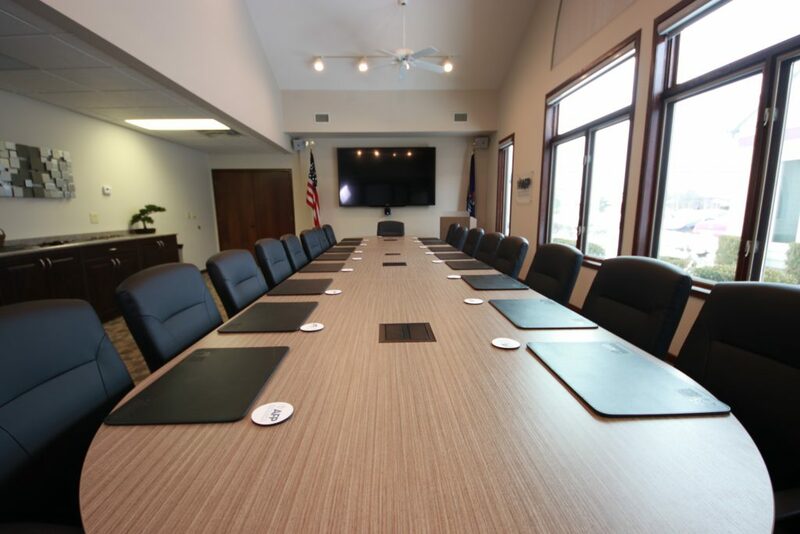 OBJECTIVE: Bring the office space “into the 21st century” with a cost effective solution maximizing an aggressive budget and timeline. 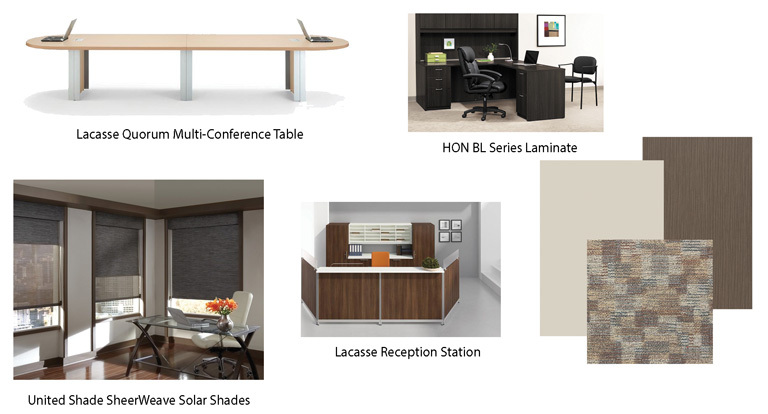 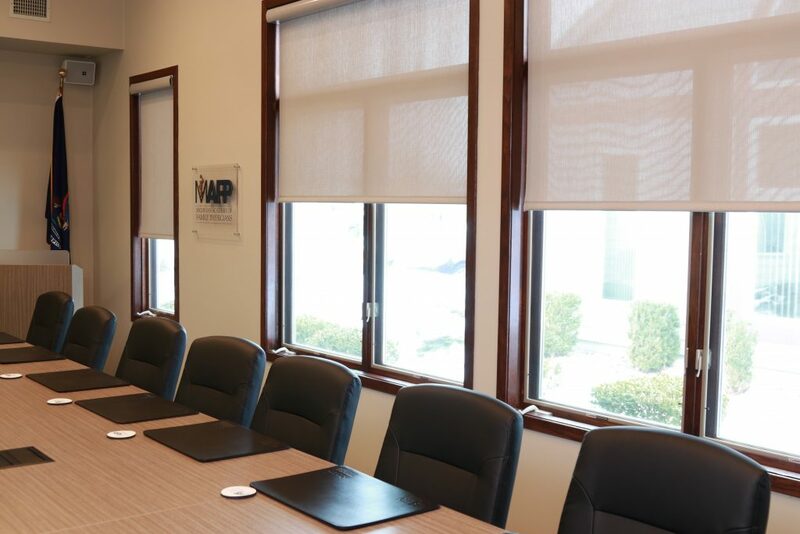 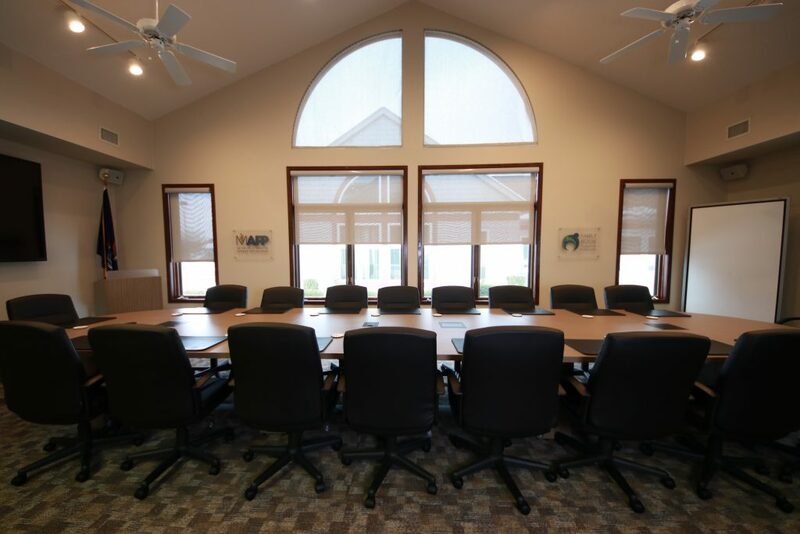 Client was looking for an updated color palette reflecting their brand, a floor plan that considered their culture of work, the blending of furniture and technology and automated window treatments controlling light and heat concerns. 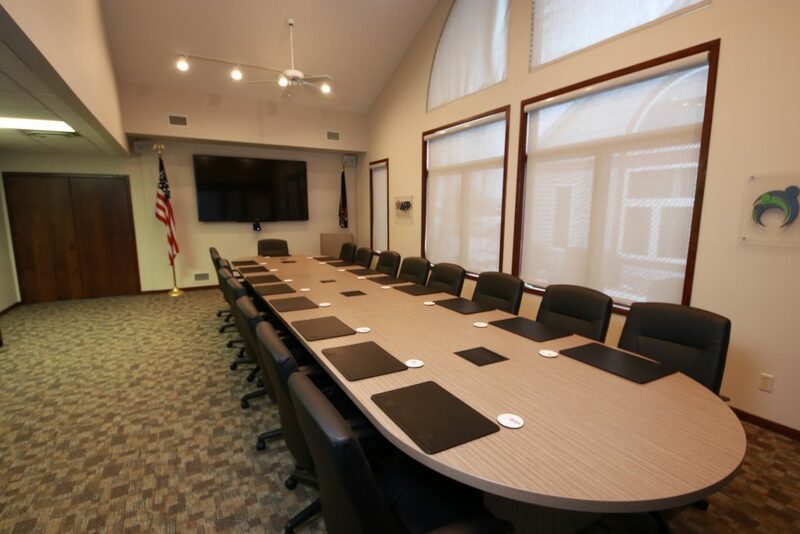 OUTCOME: Completed on time and on budget, DBI created a smart, functional conference room – the new 22’ table accommodates a full board (21 members) and the room is equipped with both visual and audio capabilities for off-site conferencing and solar window treatments to enhance space functionality. 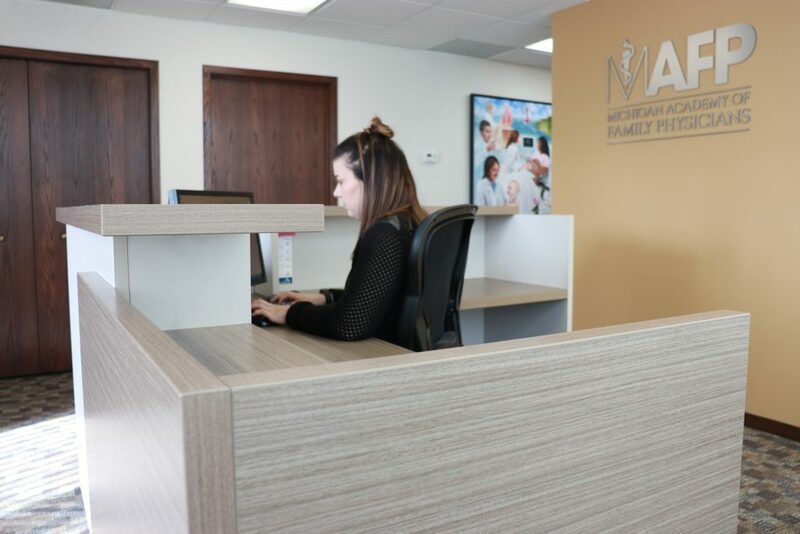 The new reception station is the focal point and a welcoming handshake of the guest waiting area and ample storage was provided for private offices for personal items and work related needs.